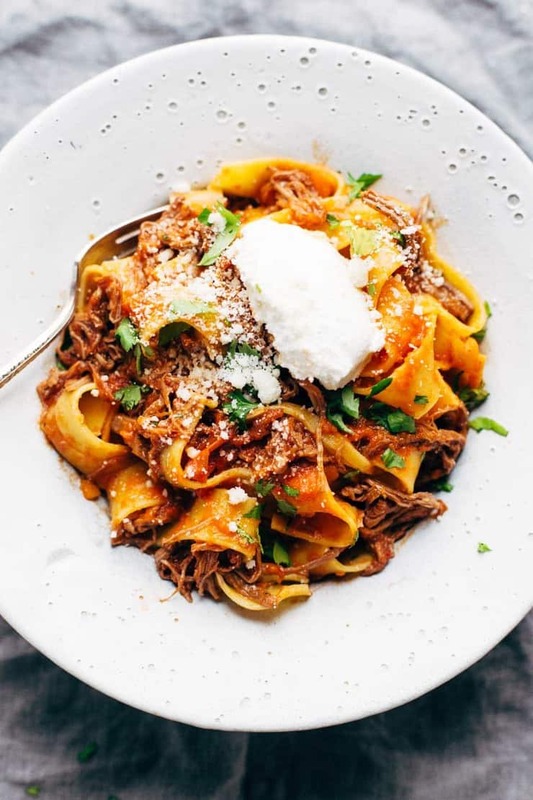 This amazing round up of 20 Healthy Slow Cooker Dinners makes busy weeknights so much easier! Includes beef, chicken, and pork recipes with minimally processed ingredients. What do you do when the worst hurricane in recorded U.S. history has devastated homes and lives all around you, yet leaves you virtually untouched? You pray, you donate what you can do without, you open your home, and you cook meals to share with those who need them. 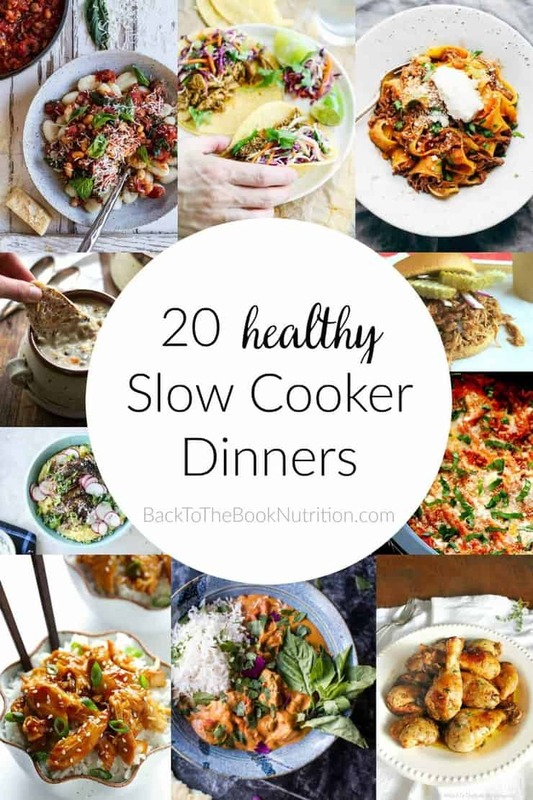 Whether you’re looking for an easy recipe to share with a friend in need, or just looking for a few low maintenance dinner ideas for busy weeknights, you’ll love these 20 healthy slow cooker recipes! They’re made from mostly whole or minimally processed foods – as always, I encourage pastured meats, full fat organic (or raw) dairy, and homemade condiments if you can’t buy “clean” versions. Otherwise, few substitutions should be needed here. Just add a cooked vegetable or a big salad and dinner is served! Share your favorite Healthy Slow Cooker Dinner Recipes in the Comments Below! I love coming home to a good meal like these! Everything here looks amazingly good and it’s really hard to pick a favorite here so I’ll prolly start with Texas chili. Yum! The chili is one of my family’s favorites, especially in cold weather. I hope you love it too, Linda! There is no reason for anyone to complain they have nothing to eat with posts like these! Love it, now I planned my entire week around this. Ha, very true Michelle. Thanks for the comment! I love using my slow cooker. This is a great collection of recipes. With school starting next week, weeknights are going to get a whole lot busier. This is the perfect solution to the “what are we having for dinner” question. I am getting hungry just by looking at this list and the photos! That teriyaki chicken looks so so delicious! So many great options here! Slow cooking is a great cooking technique saves time as you can cook overnight. 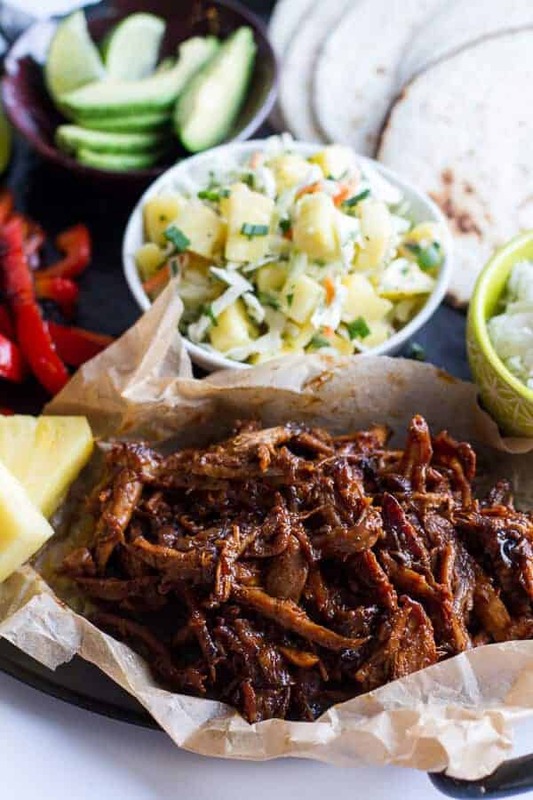 That Hawaiin BBQ pork looks fantastic genuinely mouthwatering. That pineapple slaw is the perfect touch. I don’t know how I’d get by without my slow cooker. Thanks for putting together so many options! Everything looks great. Can’t wait to start trying them all. Oh gosh, me either, Amanda! I use it almost weekly! Unfortunately sometimes mother nature puts us in uncomfortable situations. The way we react is the key of what the outcome will be-at times. Slow cook meals provide a homey feeling and is comforting to those who are in need. Great list to enjoy! Will be trying the slow cooker beef and broccoli. Thanks for your comment, Mirlene. Enjoy the beef and broccoli! Awesome! I love this recipe roundup, a lot of healthy option recipes. 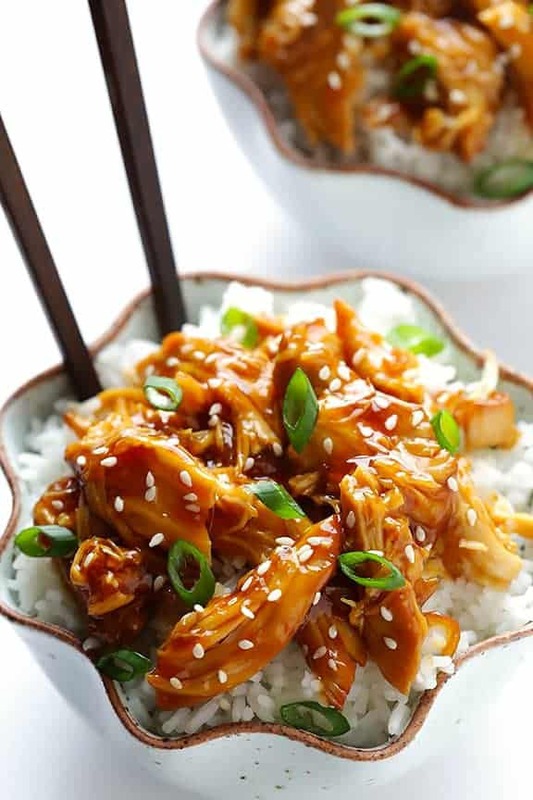 I think I’m gonna try first the Slow Cooker Teriyaki Chicken looks so delicious. Can’t wait to try the other recipe too. Thanks for these ideas. Wow so amazing how many yummy dishes you can serve up with a slow cooker! I can’t imagine what it’s like to live with the devastation caused by hurricanes, buy I love that you were cooking for others who had been affected by the hurricane! Such a beautiful thing to do! Thank you, Jacqueline. It definitely made me feel like there was something I could contribute! What a great collection of slow cooker recipes. This will come in handy when the weeks start to get crazy with all the school functions and what not. Yum yum yum! I love Roundup posts because it’s like looking at several recipes all at once. Everything looks delicious! I’ll have to buy another slow cooker but once I get it, I’m going to start with the slow cooker lasagna! It sounds super good! Glad you found some you liked, Stephanie!